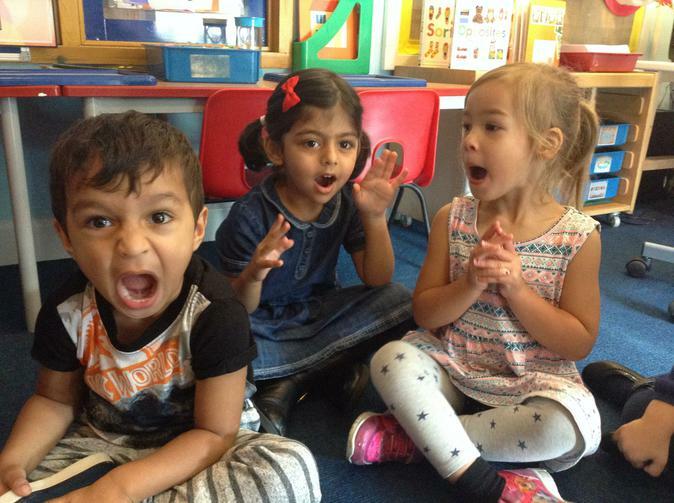 We have been learning about our bodies and our expressions. 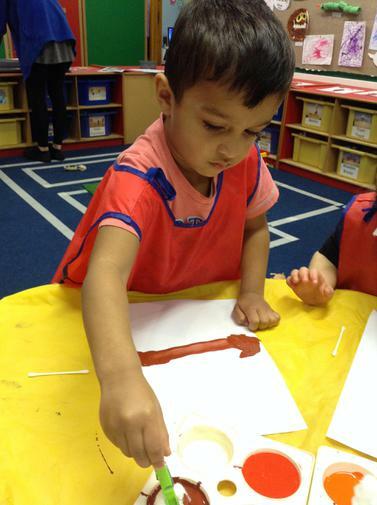 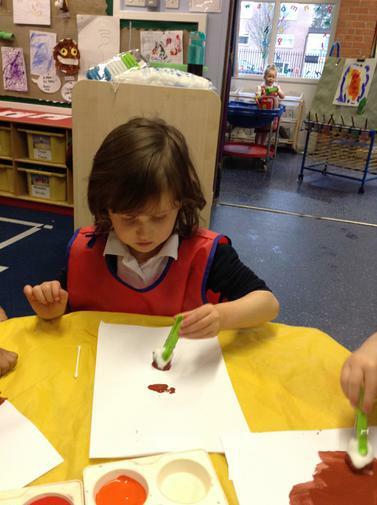 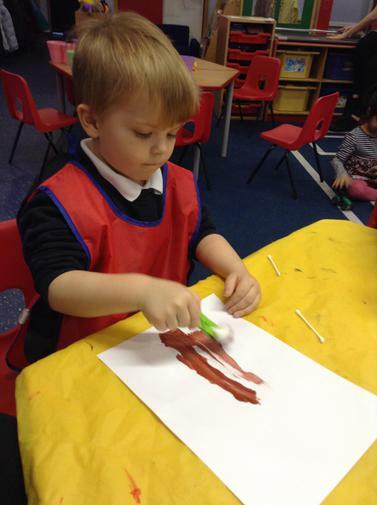 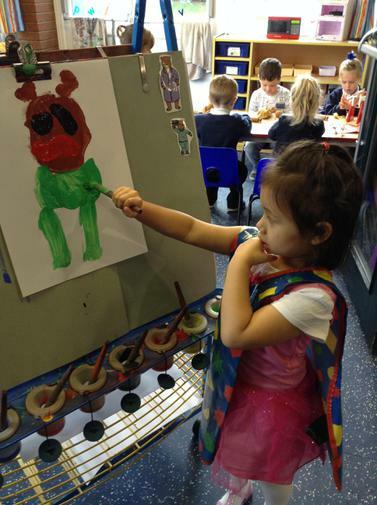 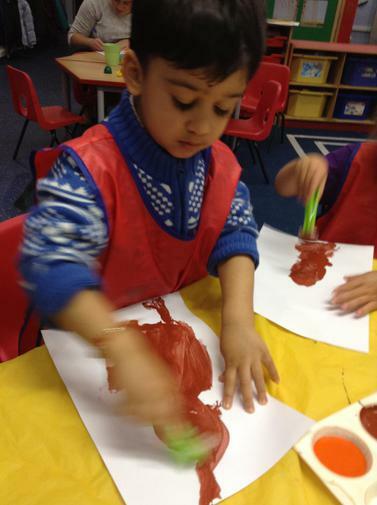 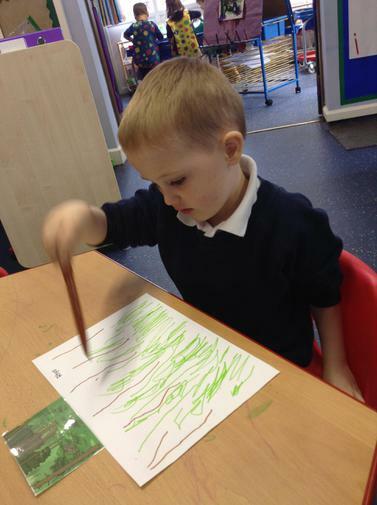 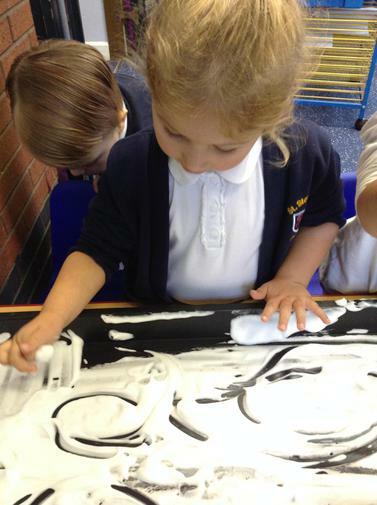 The children have enjoyed painting self portraits, making hair and eye colour pictograms, making their own 'mini-me' collage and many other activities. 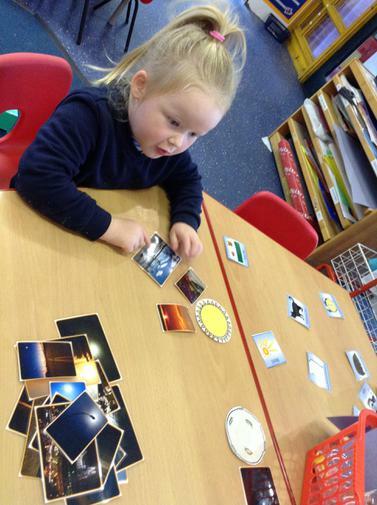 Here are some pictures. 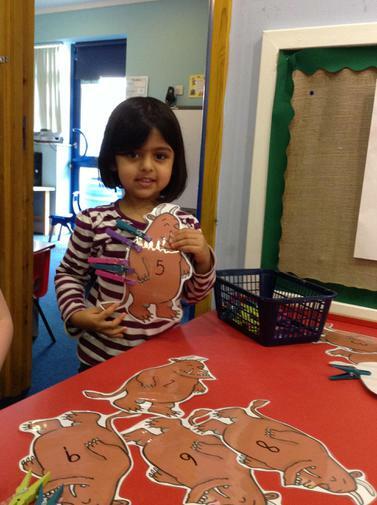 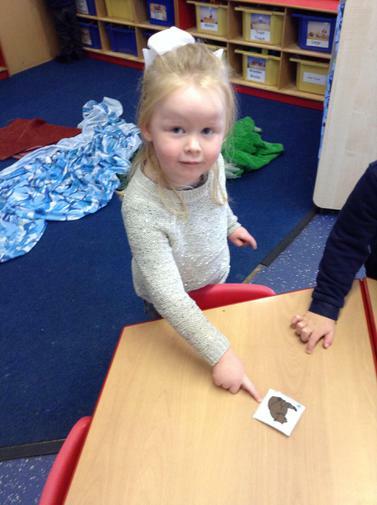 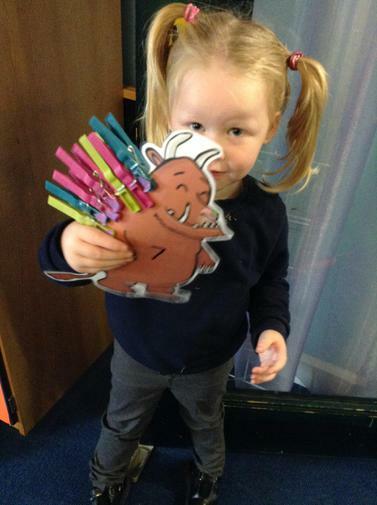 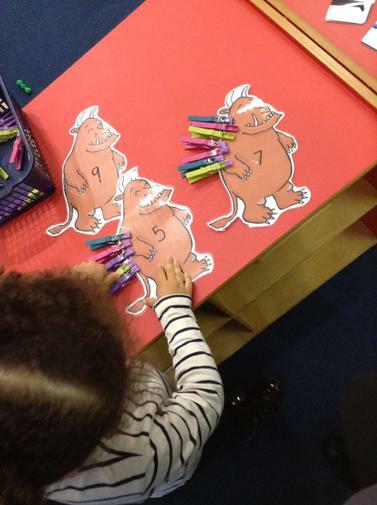 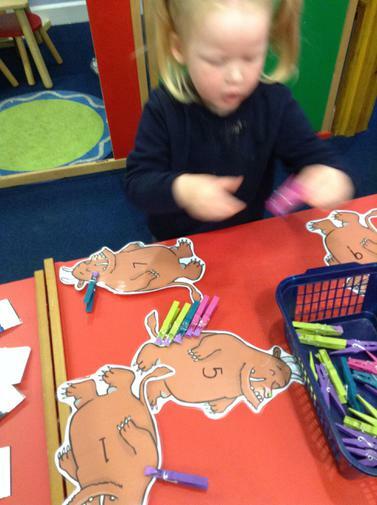 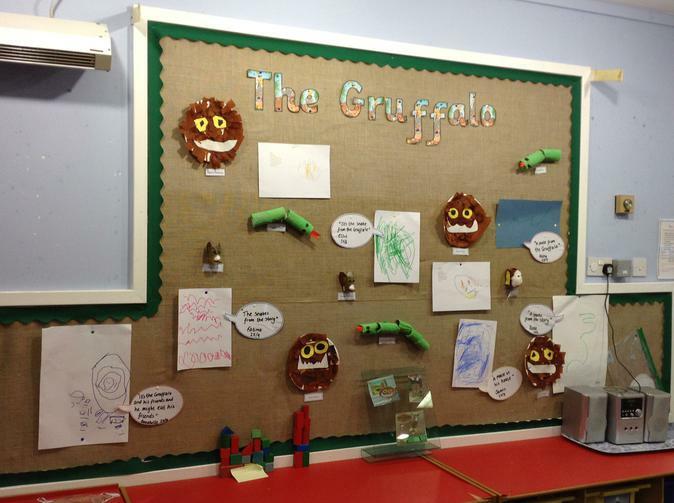 We read the story of 'The Gruffalo' which the children really enjoyed. 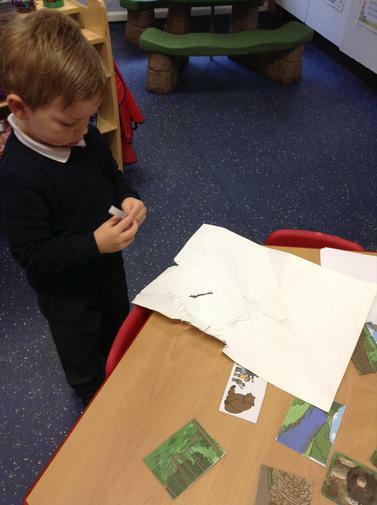 We talked about the characters in the story, described them and chose our favourite. 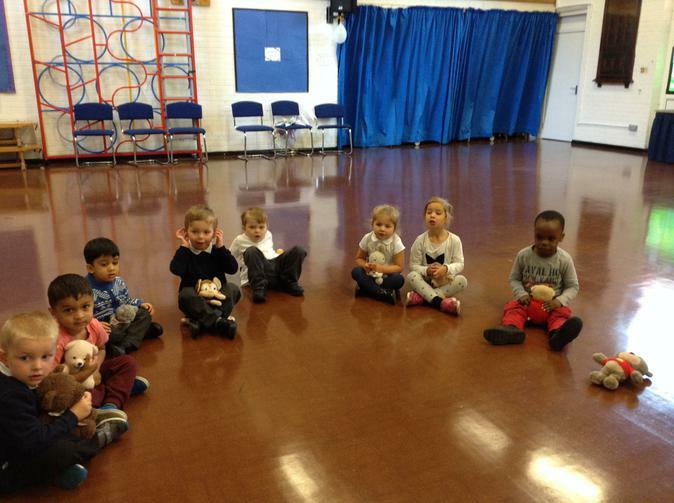 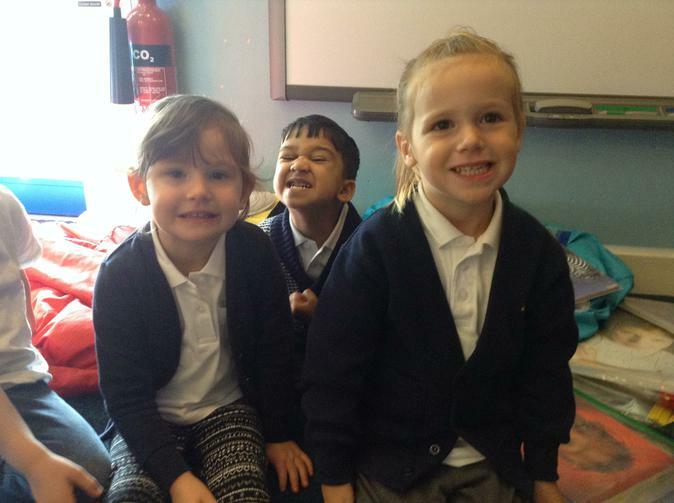 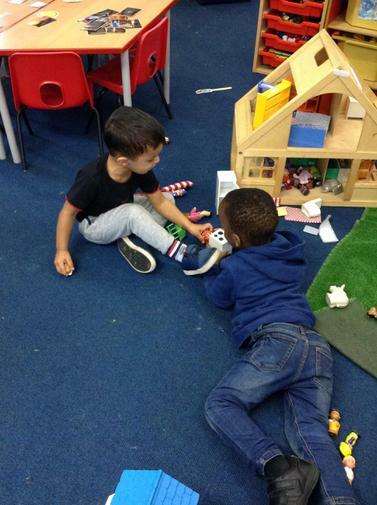 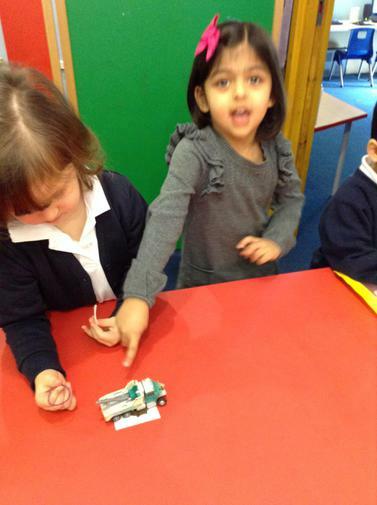 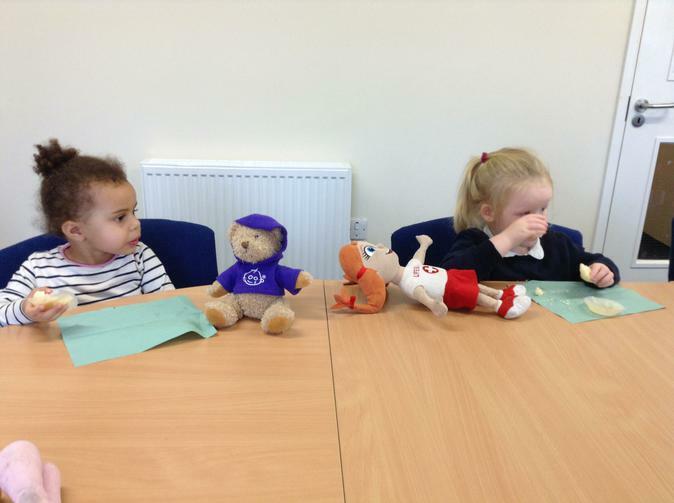 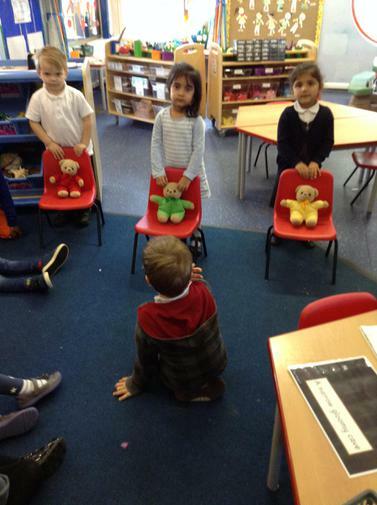 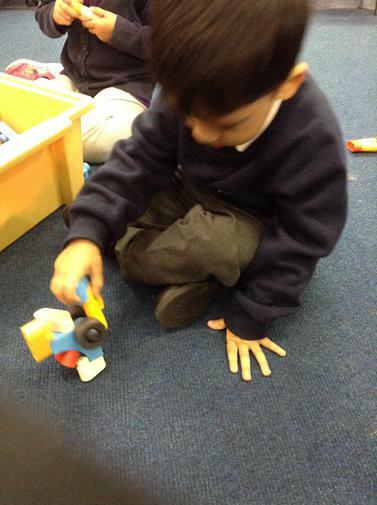 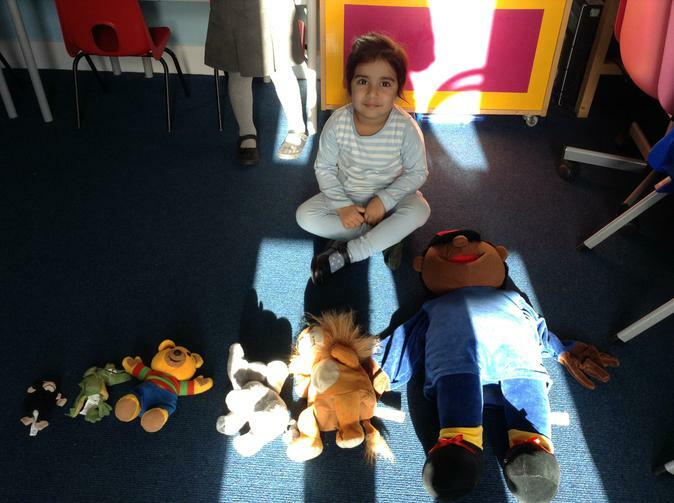 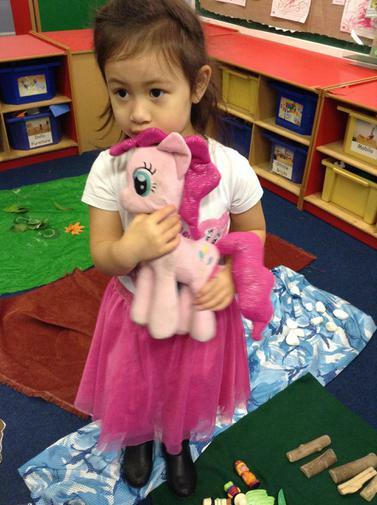 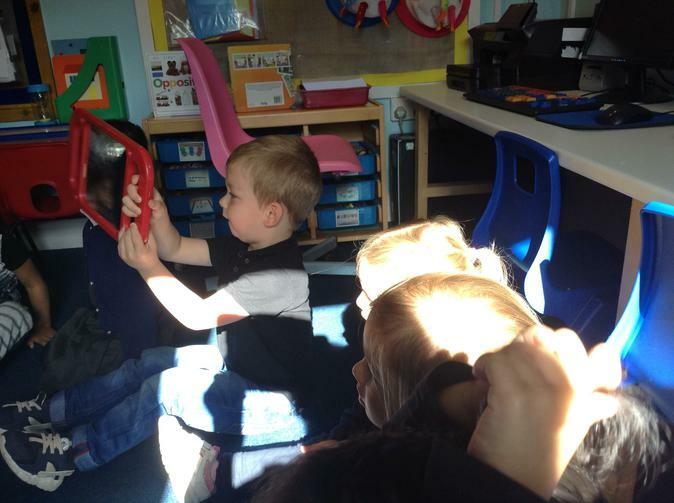 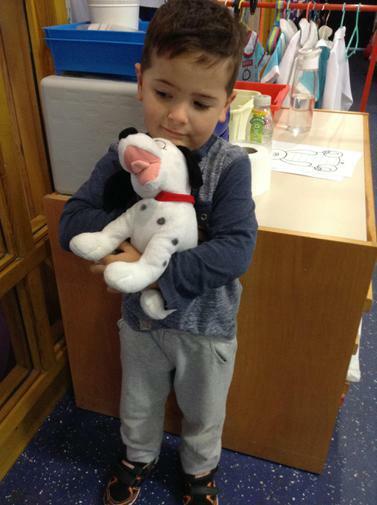 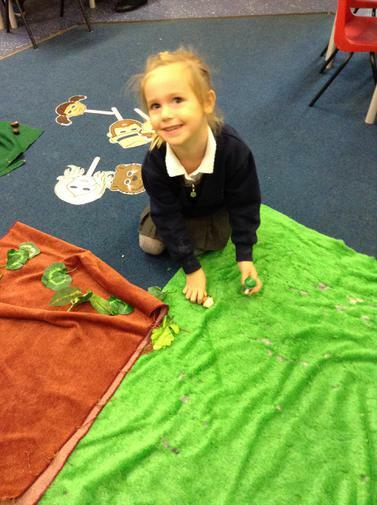 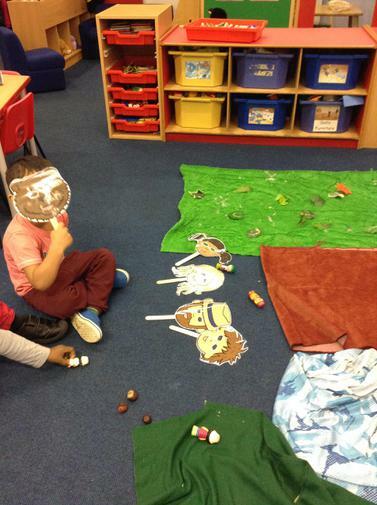 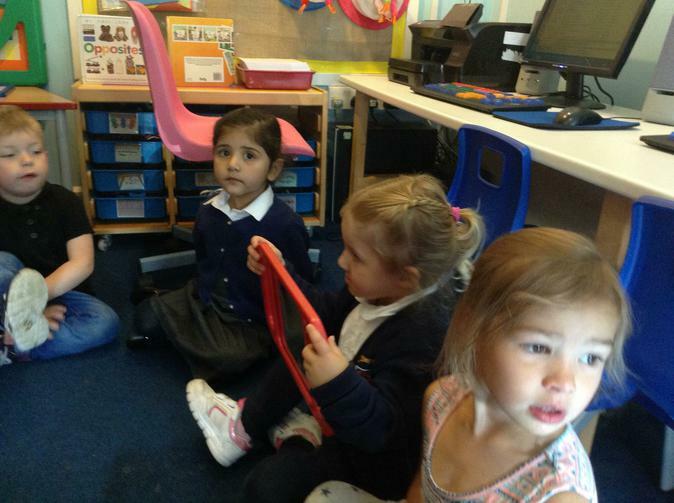 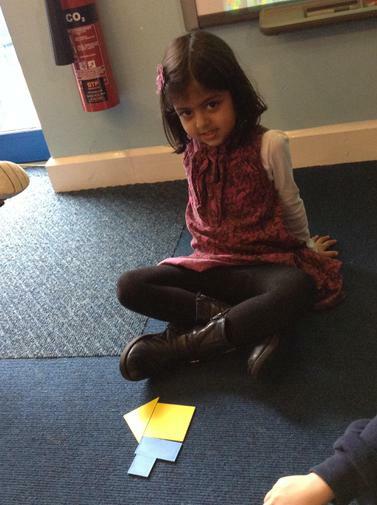 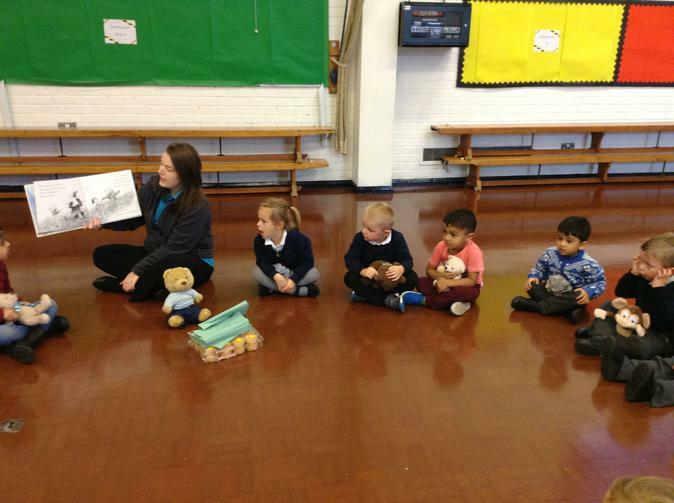 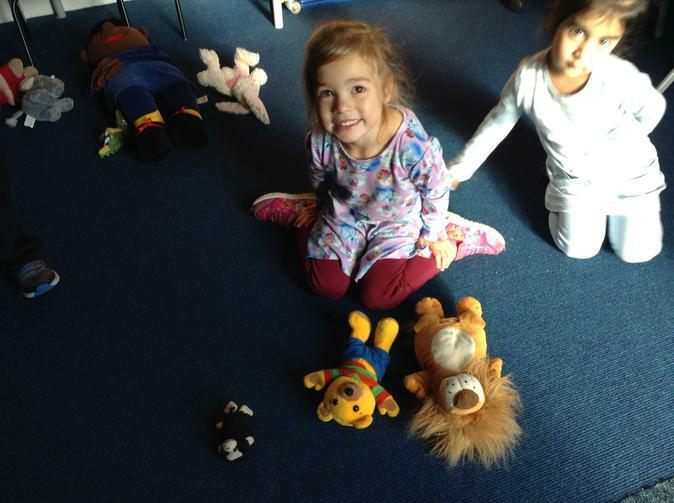 The children were able to develop their story skills by acting out different parts of the story, moving like the characters and even making their own creative characters. 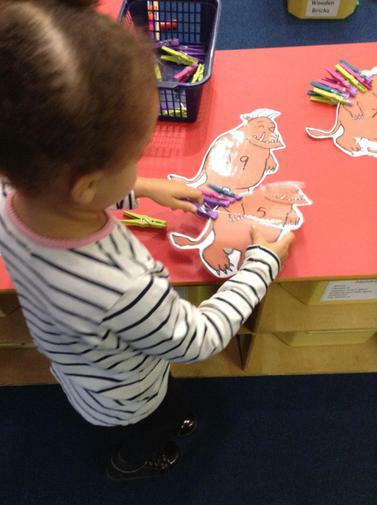 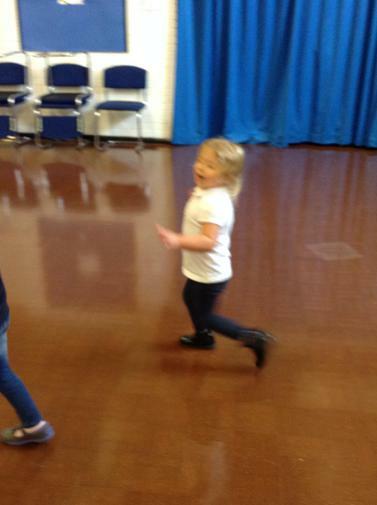 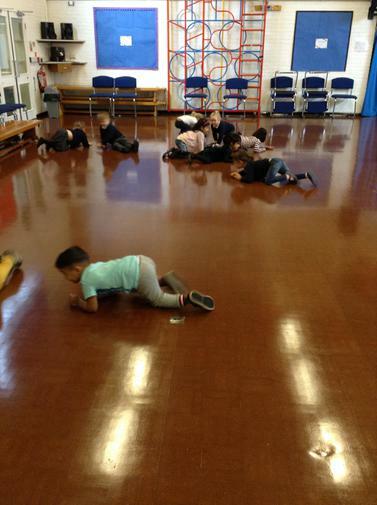 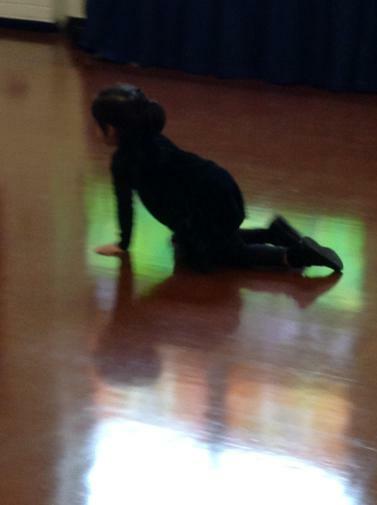 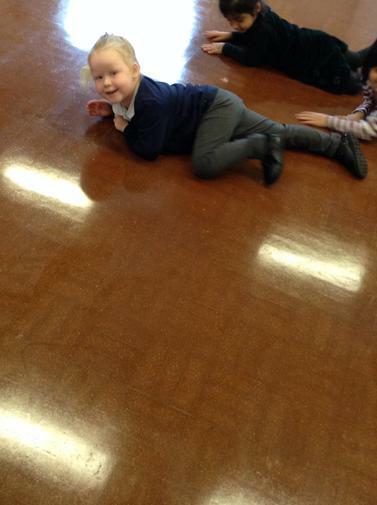 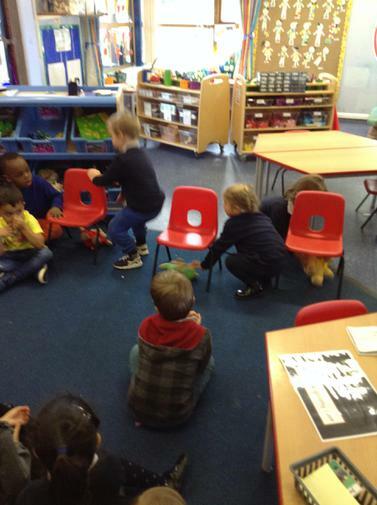 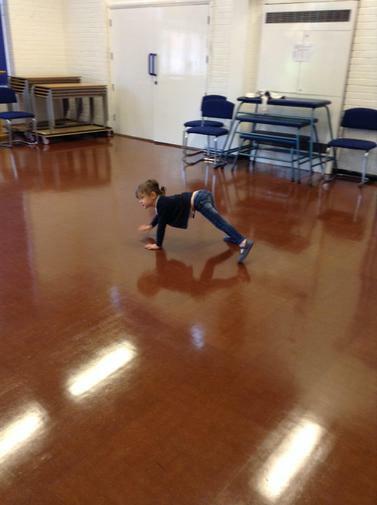 In the hall, we moved like the different animals in the story and had lots of fun! 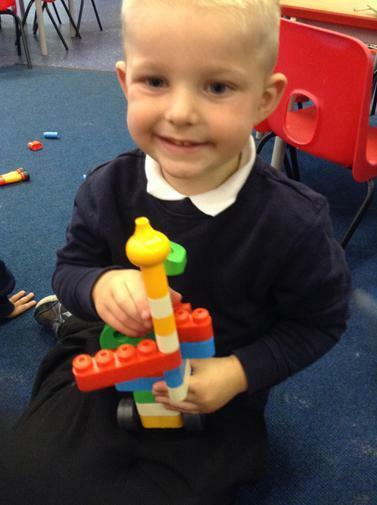 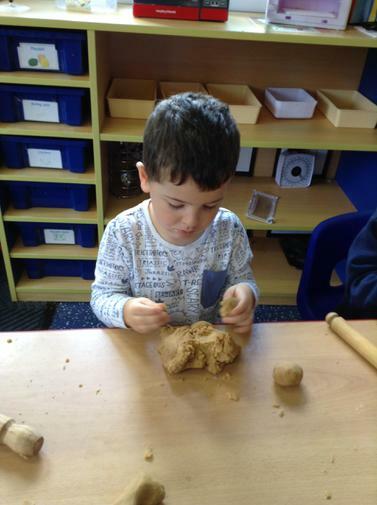 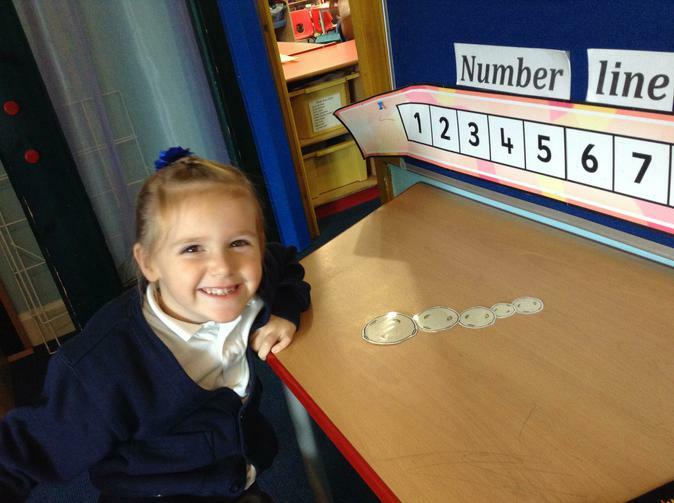 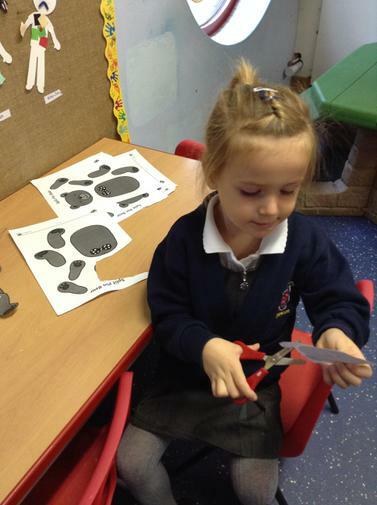 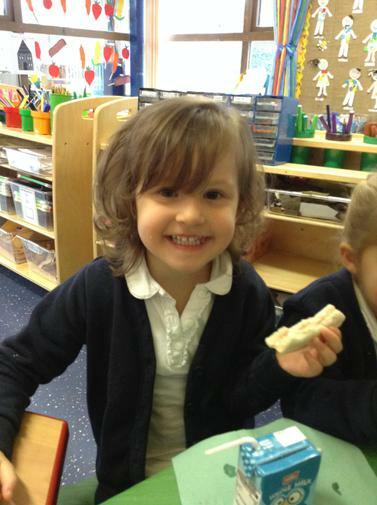 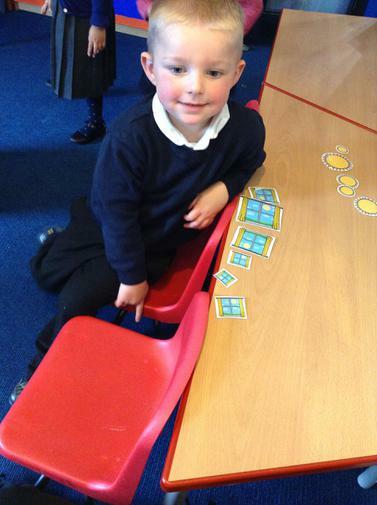 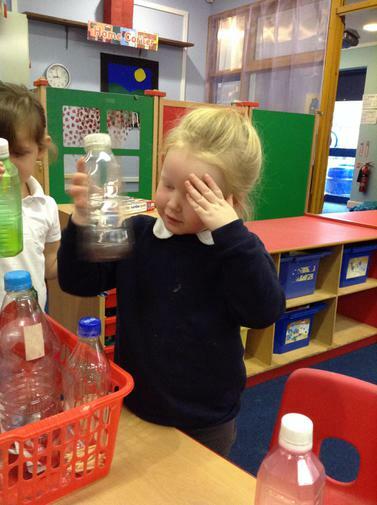 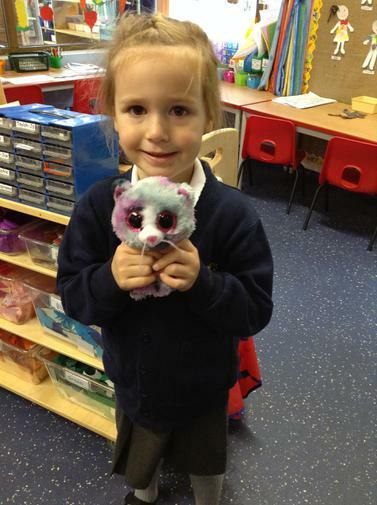 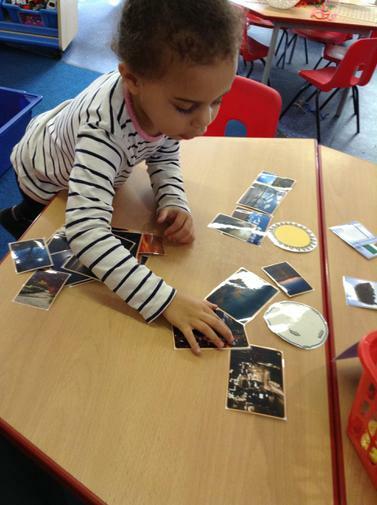 Take a look at our pictures. 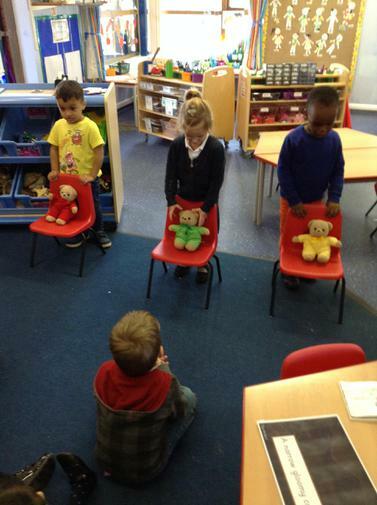 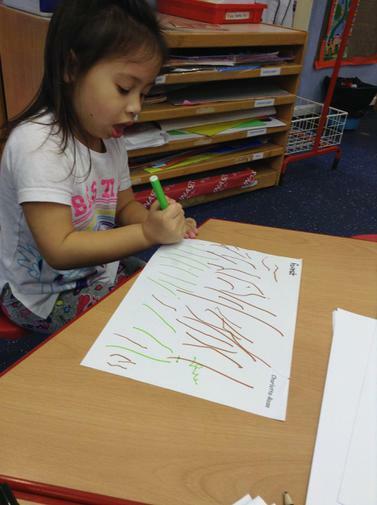 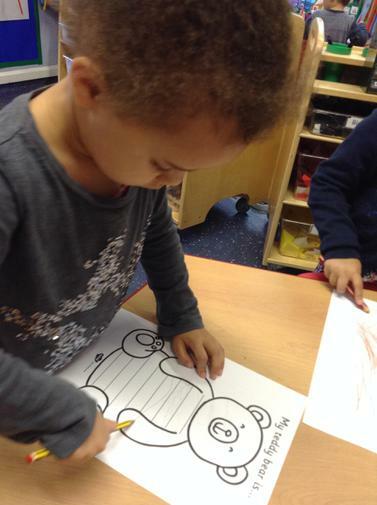 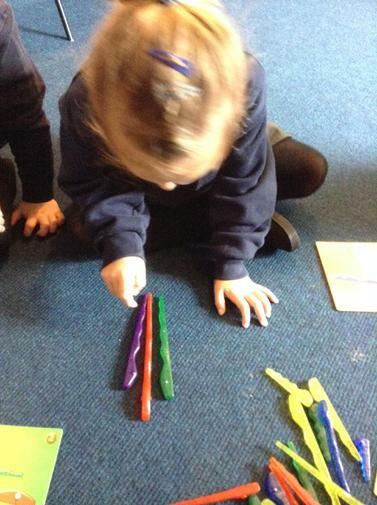 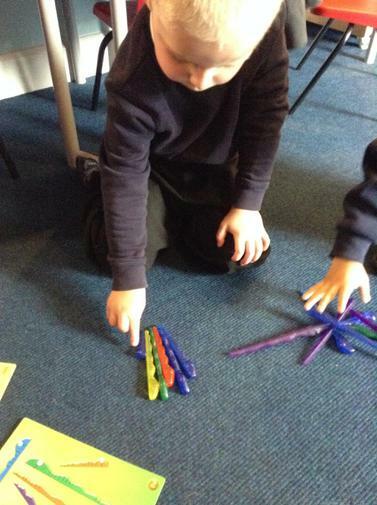 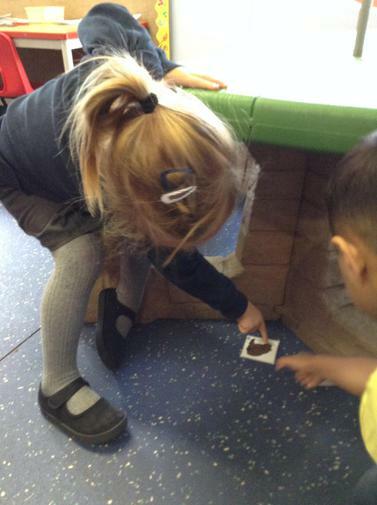 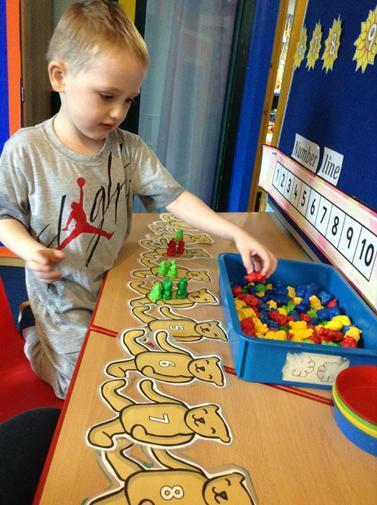 We red the story 'We're Going on a Bear Hunt' which the children loved. 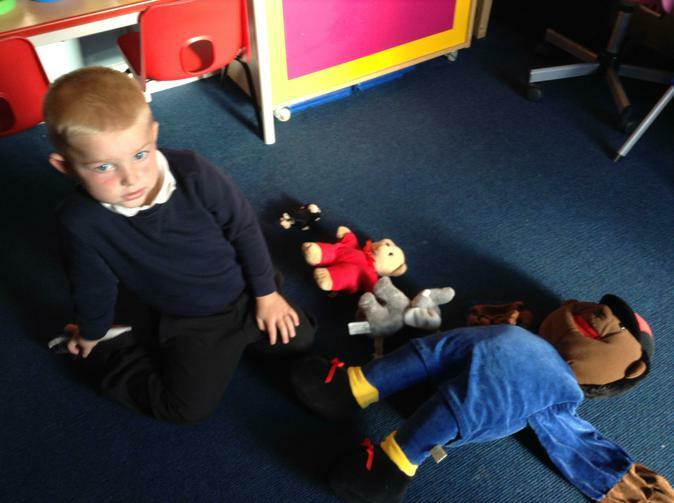 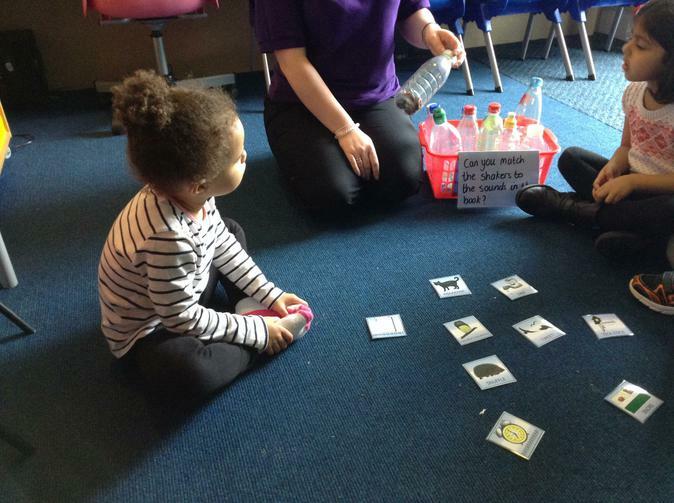 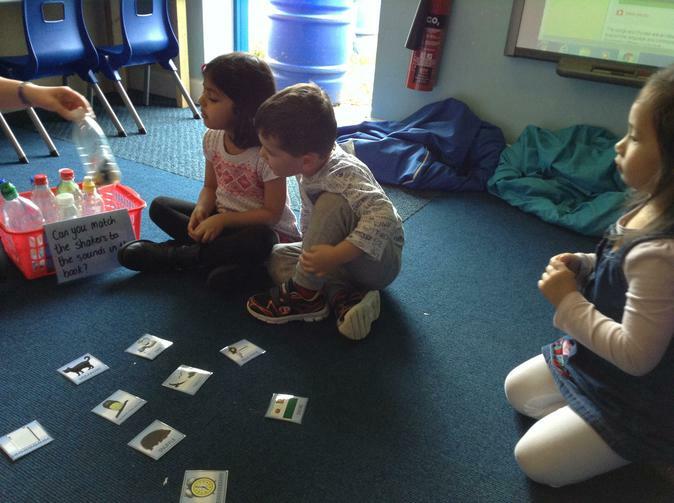 We acted out the story and talked about prepositions in continuous provision. 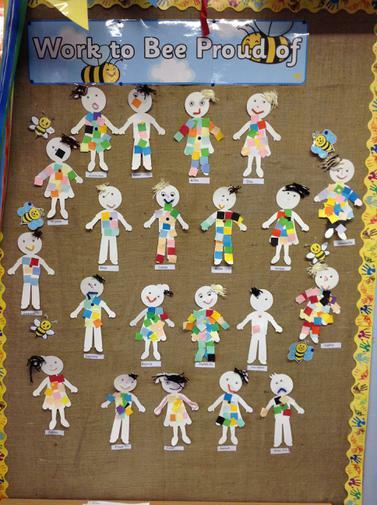 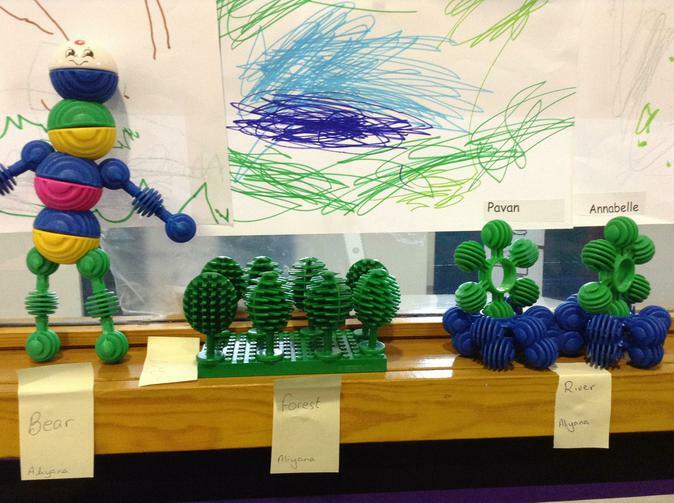 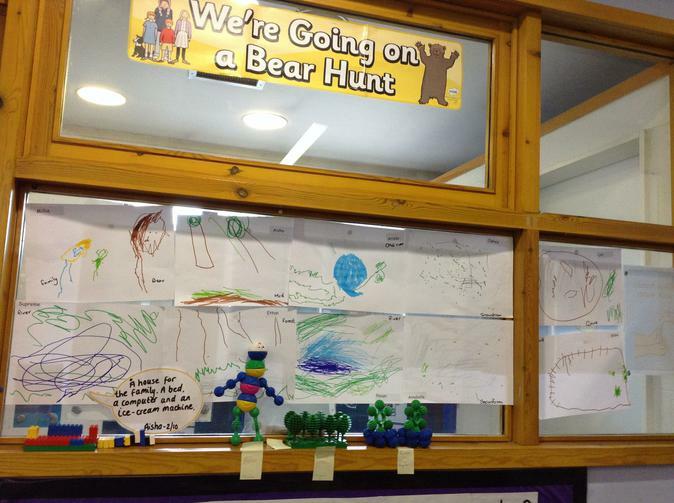 The children were able to draw their favorite scene from the story and these are displayed in our nursery. 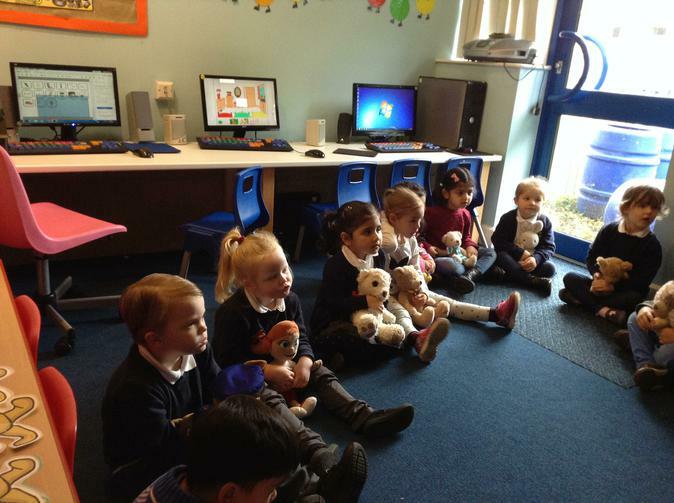 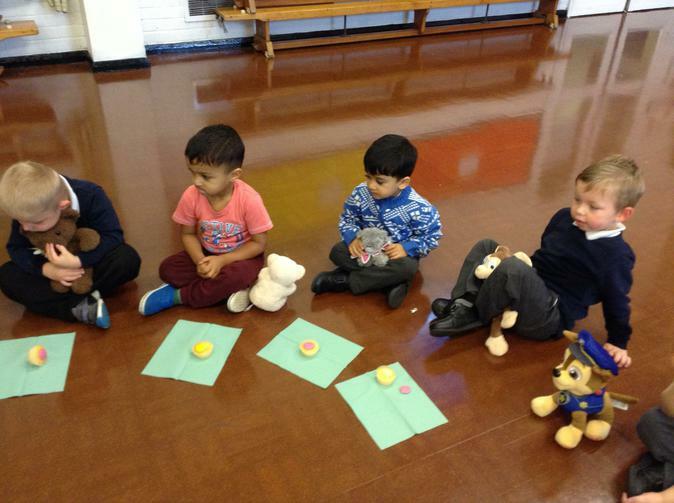 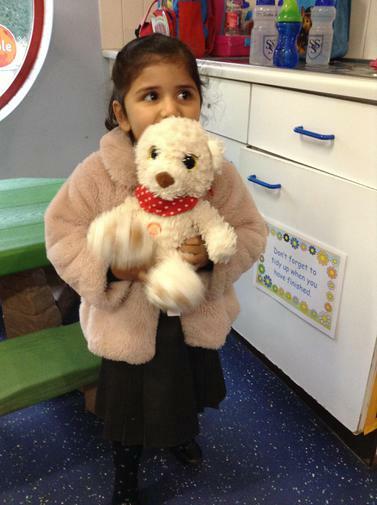 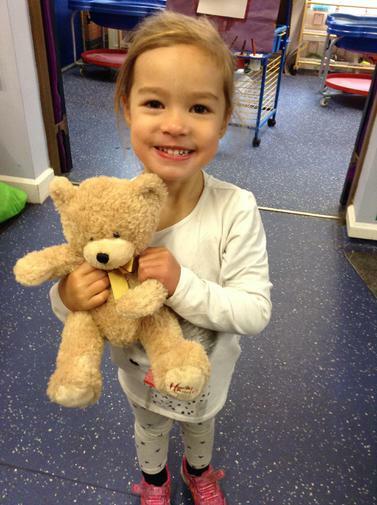 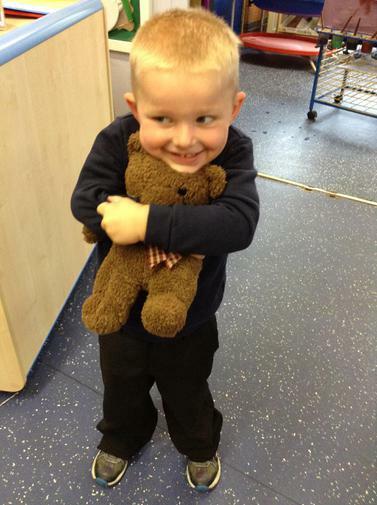 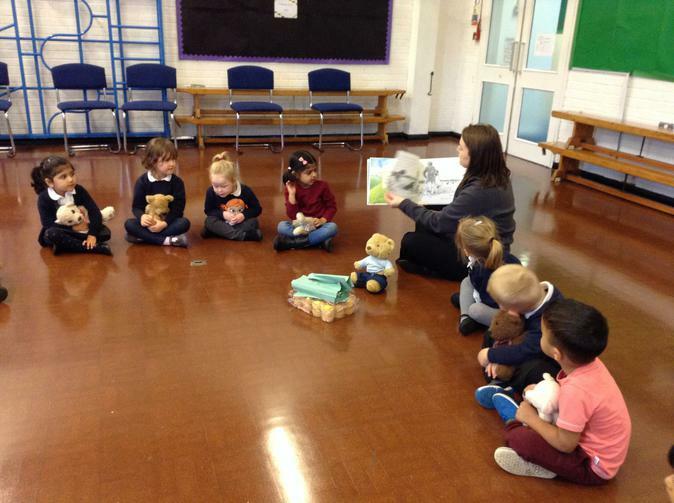 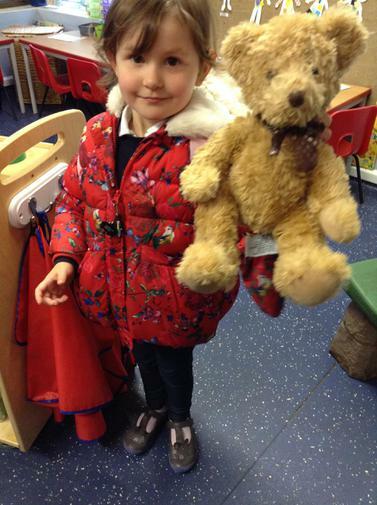 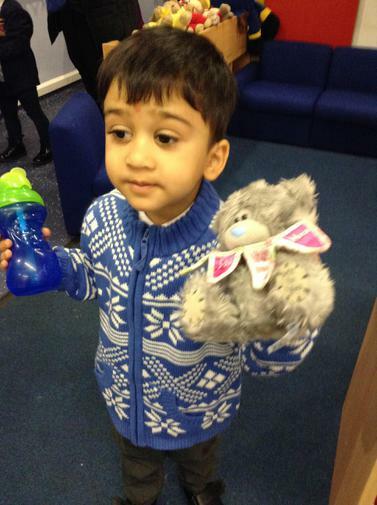 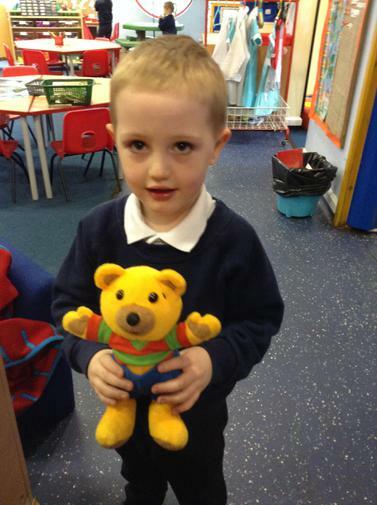 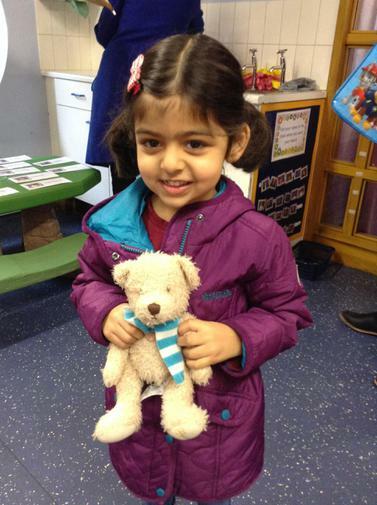 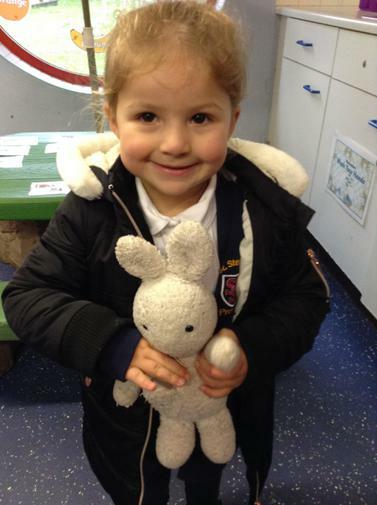 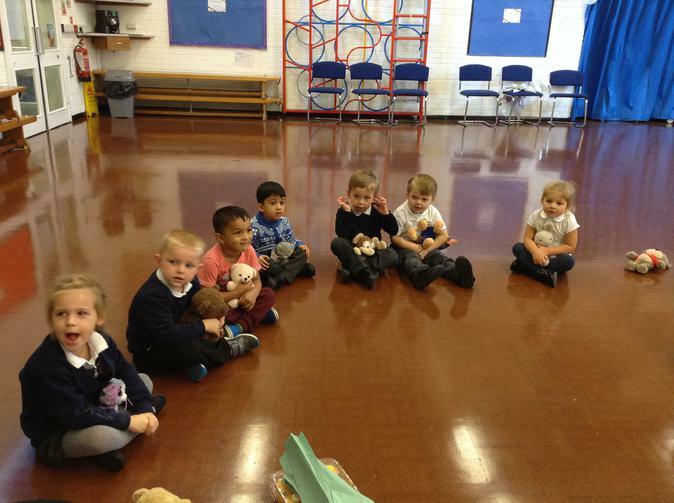 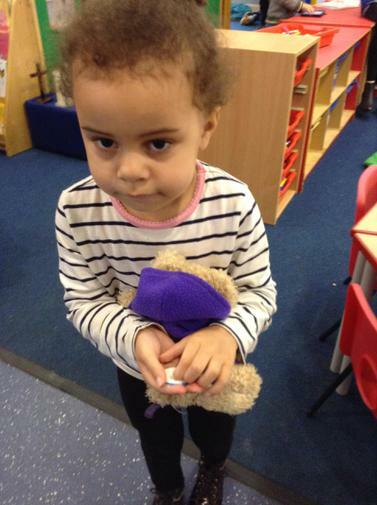 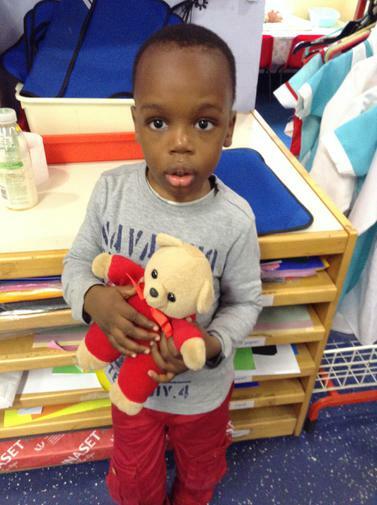 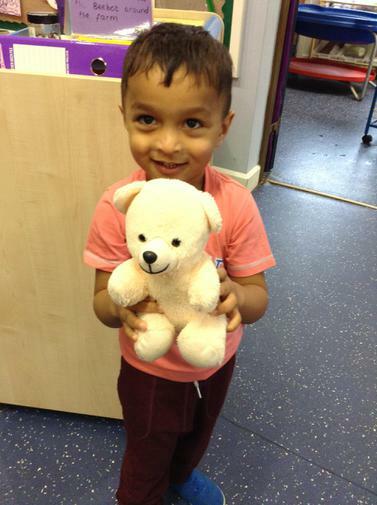 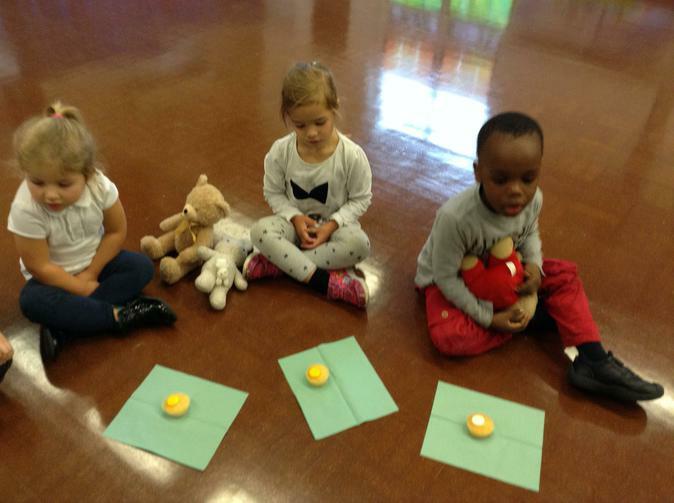 In the week we had a teddy bears picnic, children brought in their favorite teddy bear and we went on a Bear Hunt to the school hall. 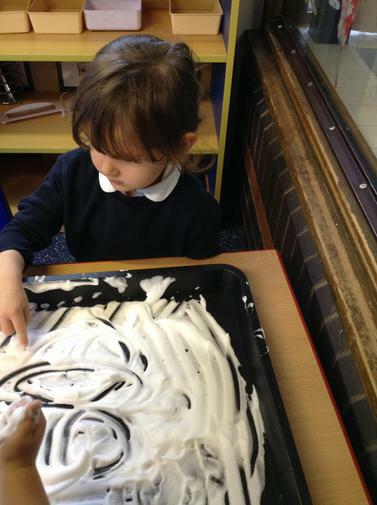 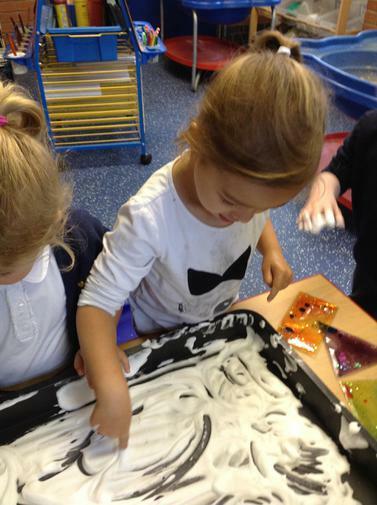 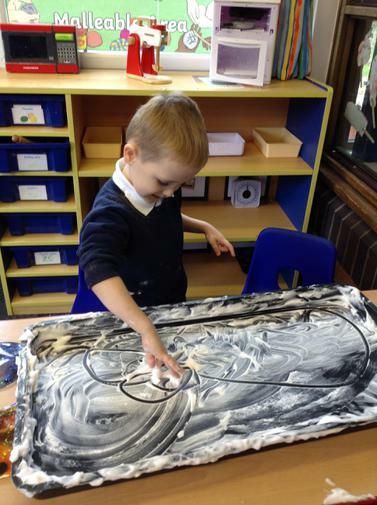 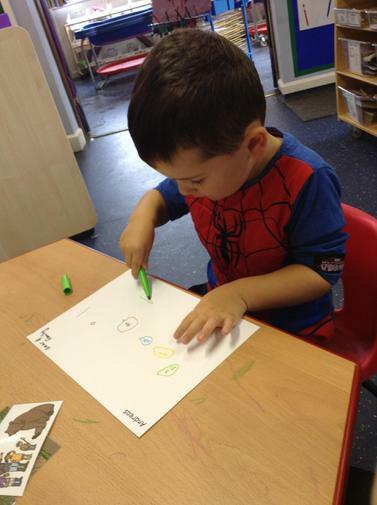 In the malleable area we had to draw shapes and prints in the foam to represent travelling through the snowstorm. 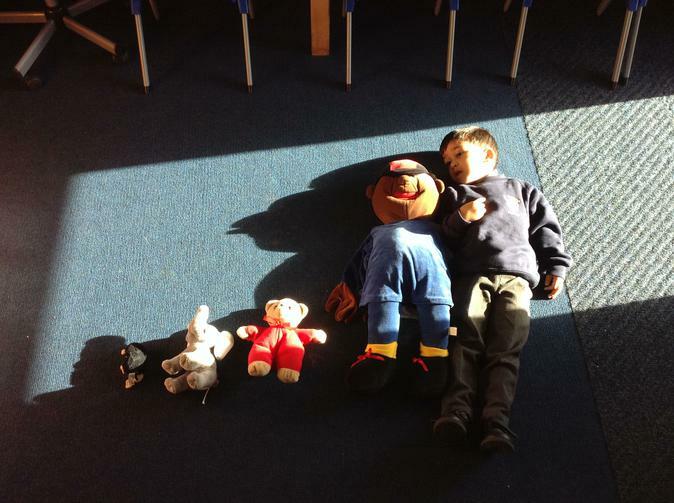 We had lots of fun with this story. 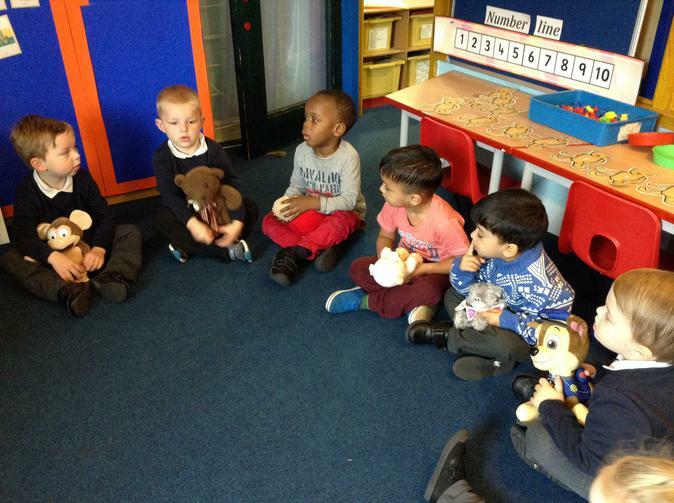 We shared the story 'Peace at Last' and talked about our own houses. 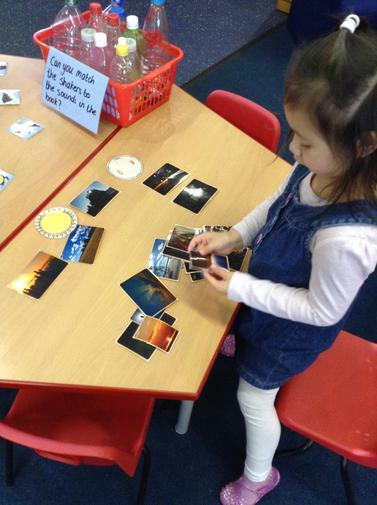 We talked lots about day time and night time and looked at pictures to compare similarities and differences. 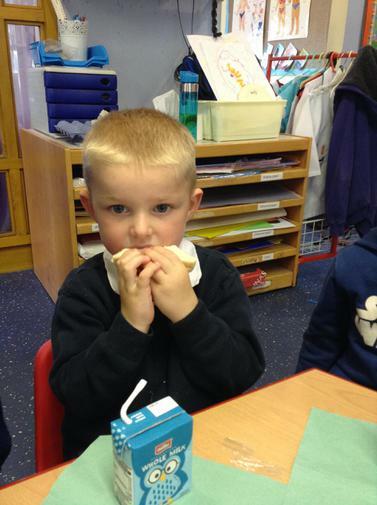 We made sound shakers to represent sounds we heard in the story. 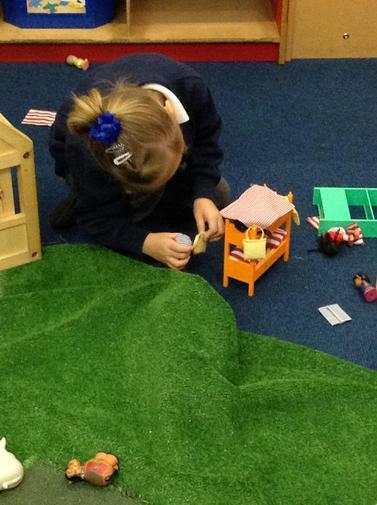 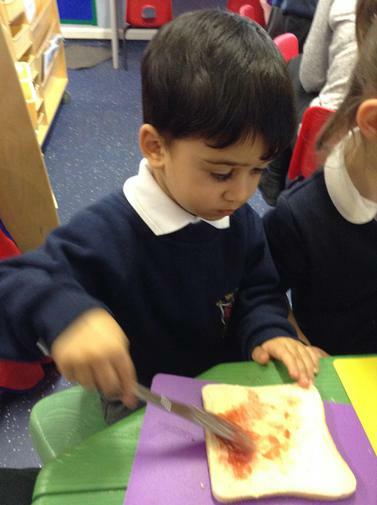 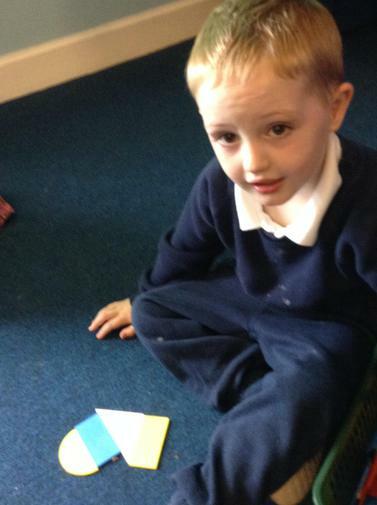 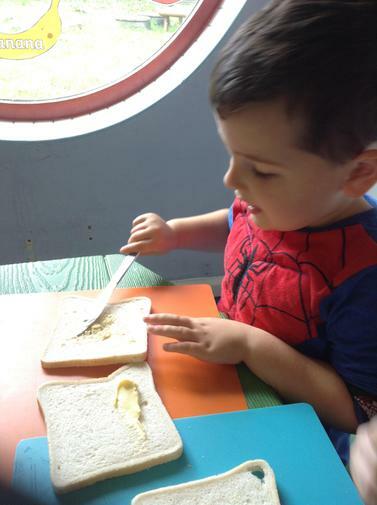 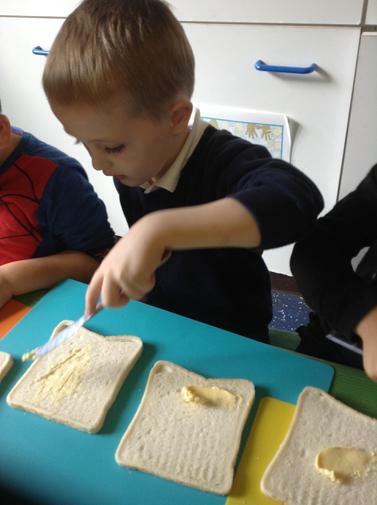 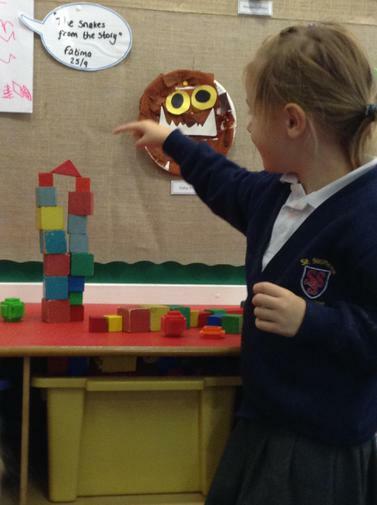 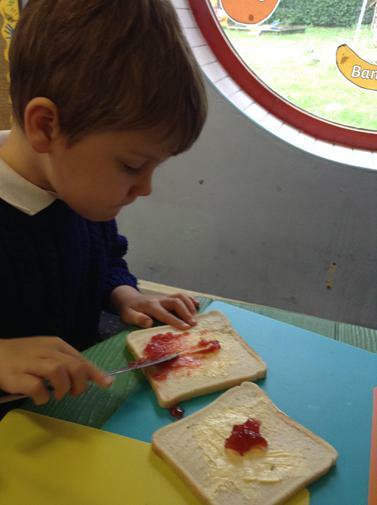 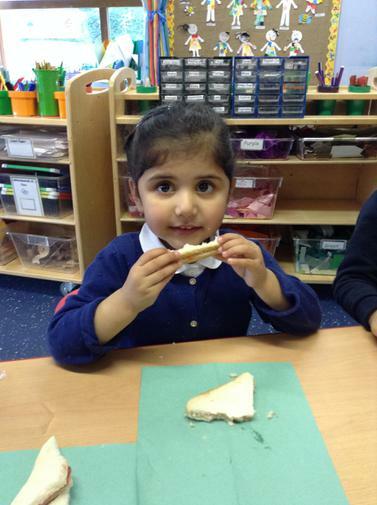 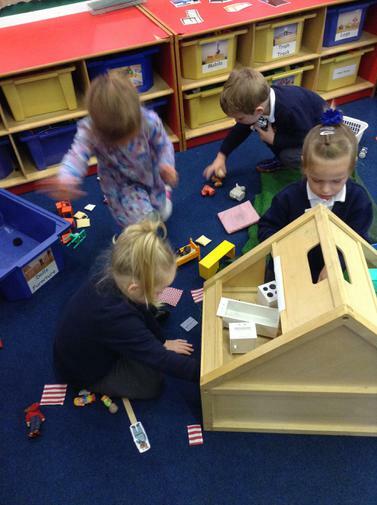 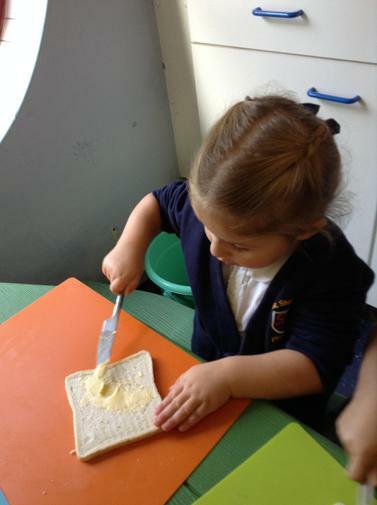 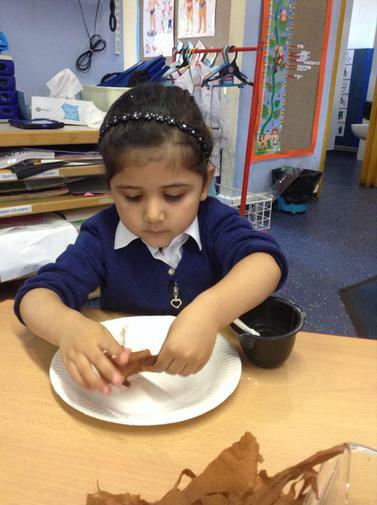 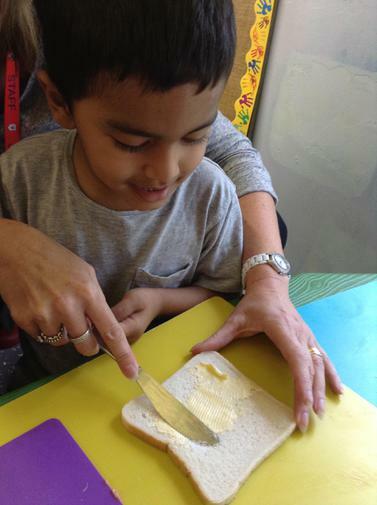 We made our own jam sandwich and had a go at creating our own house using 2D shapes. 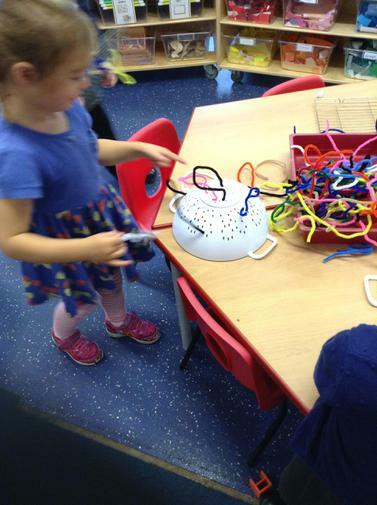 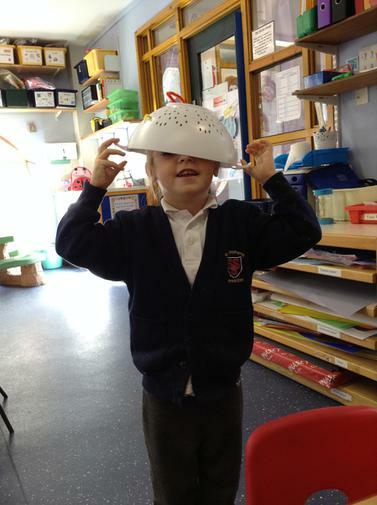 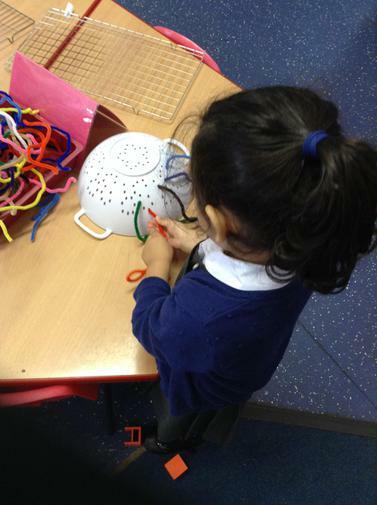 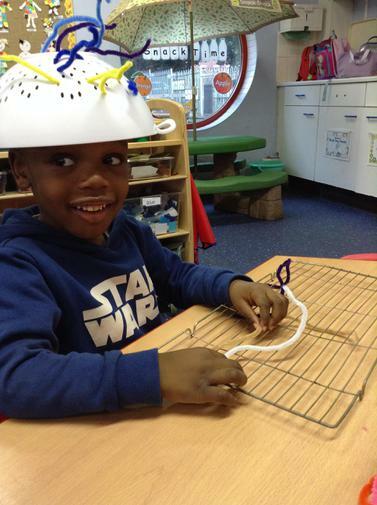 The children really enjoyed threading pipe cleaners in a colander and wearing it as a hat. 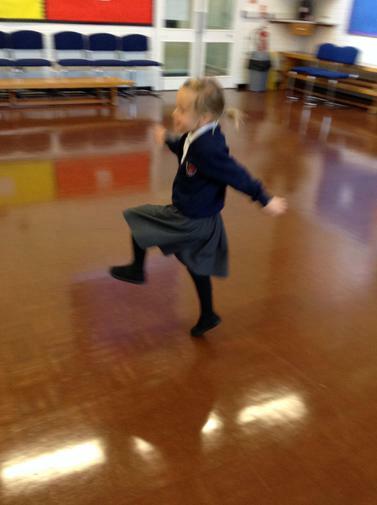 We read 'Rosie's Walk' and learnt lots about positional language. 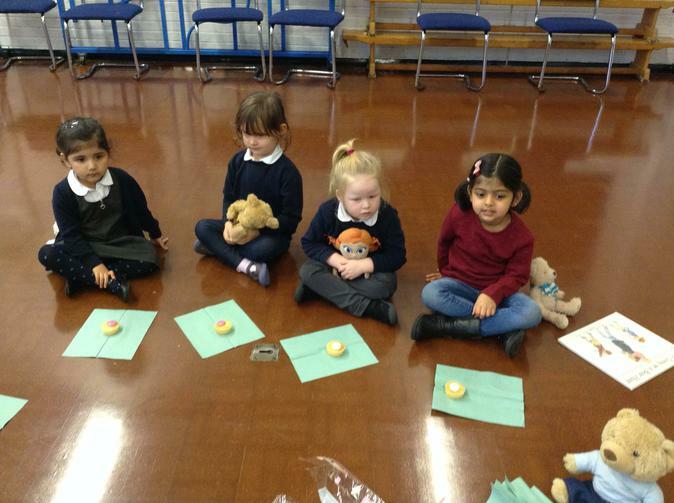 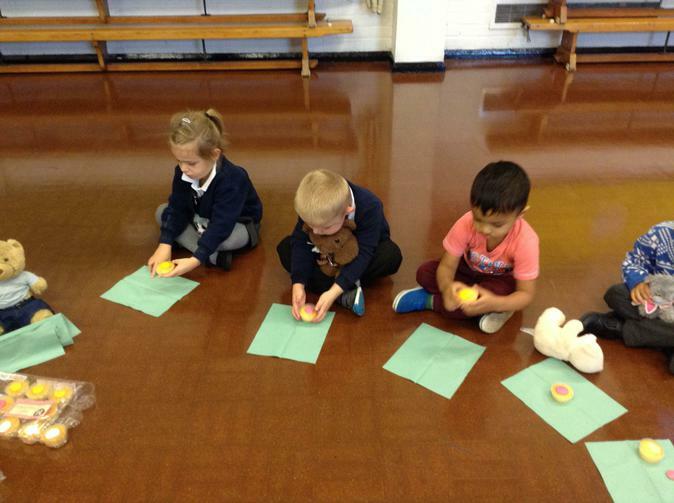 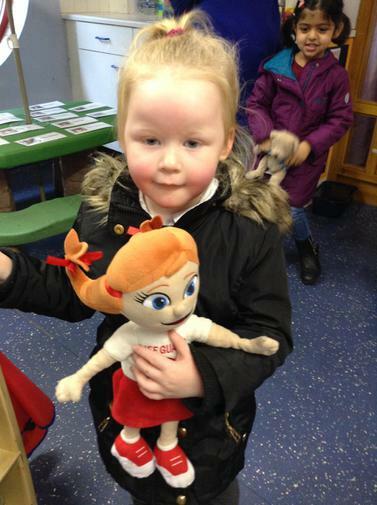 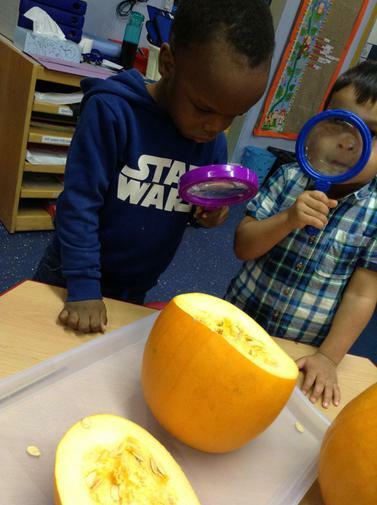 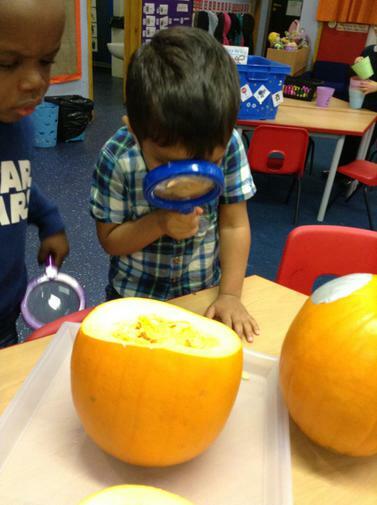 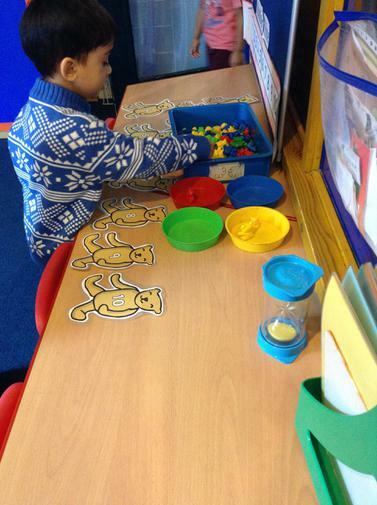 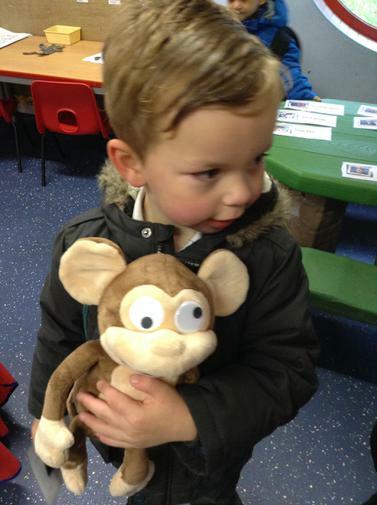 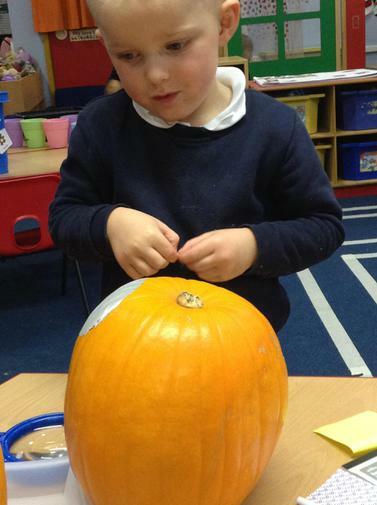 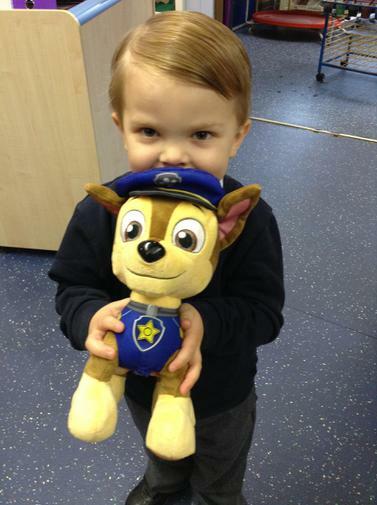 We completed lots of activities and here are just a few to show you. 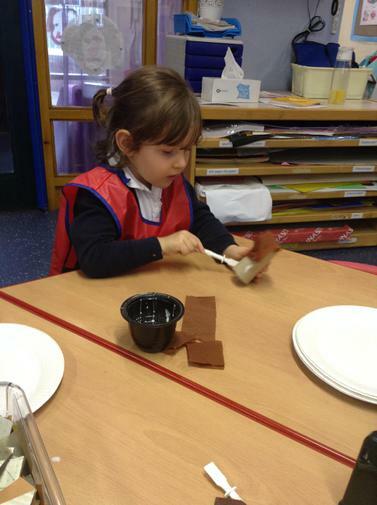 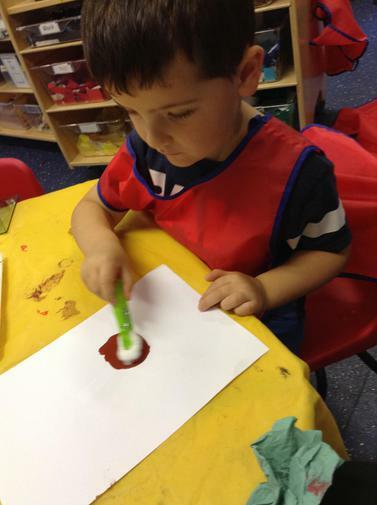 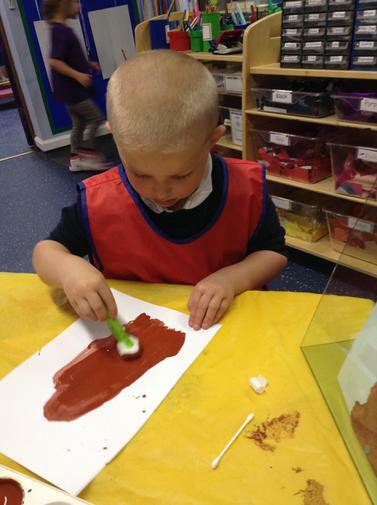 We painted different foods that grow on a farm and explored a pumpkin!